According to online witness report, a massive turn out started as early as 5:00am in Lagos. 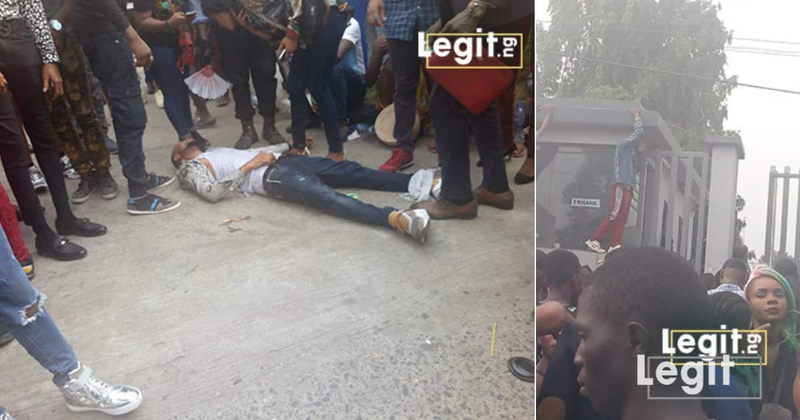 A report for Legit.ng gathered that a man who had come for the audition fainted due to fatigue and tiredness from the entire brouhaha. A lot of other youths hoping to audition gathered around the man clueless about what to do. A video released online, shows the moment some men were spotted climbing the fence to get into the venue. Another video posted online shows a man on the ground coughing, while a lady tried was seen helping out. We can’t confirm if this happened at the Big Brother Naija location in Lagos or some other location.